If your roof has been damaged, it is recommended that you file an insurance claim. It is best to contact your insurance company directly and not your local agent. Your insurance company has storm adjusters that will be assigned to evaluate your property damage. Your insurance company will set a date and time to inspect your property. It is quite important that you have an experienced, reputable storm damage restoration firm present at this meeting. 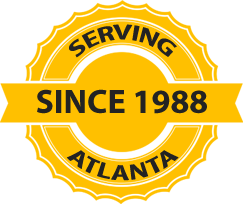 AtlantaRoofing.Com has discovered that a high percentage of claims are denied without having a contractor with storm damage knowledge onsite to help make sure your property is given a full & fair inspection. We have found that experience levels of adjusters vary greatly and many times mistakes are made on the scope of work which leads to a payment being too low. However, the insurance adjuster does have the final decision on whether or not your property is partially or fully awarded. If awarded, the adjuster measures the area damaged & decides what is to be repaired or replaced & according to their insurance rates, determines the price to be paid. Please keep in mind, the payment amount awarded to you is just an estimate. AtlantaRoofing.Com is trained to analyze your insurance paperwork. This is to ensure that the adjuster’s measurements are correct and you are awarded the full amount owed. We are also able to work directly with your insurance company to retrieve any additional funds missed by the adjuster. A.) You are allowed to have a storm damage contractor present at the adjuster meeting. Few homeowners have any experience with hail, wind, or storm damage. B.) If damages are awarded you are allowed to select the company to repair the damage. Your insurance company cannot force you to use a contractor you do not know and/or trust. C.) If your claim is denied, you have a right to appeal for issues such as; the adjuster’s failure to inspect the entire damaged area, inspecting the damage without you or the storm damage contractor being present, or you simply do not agree with the findings of your adjuster. Before you call your insurance company, take the time upfront to do your research on which contractor is the best match to represent you during the claims process & more importantly will repair the damage correctly if your claim is awarded.